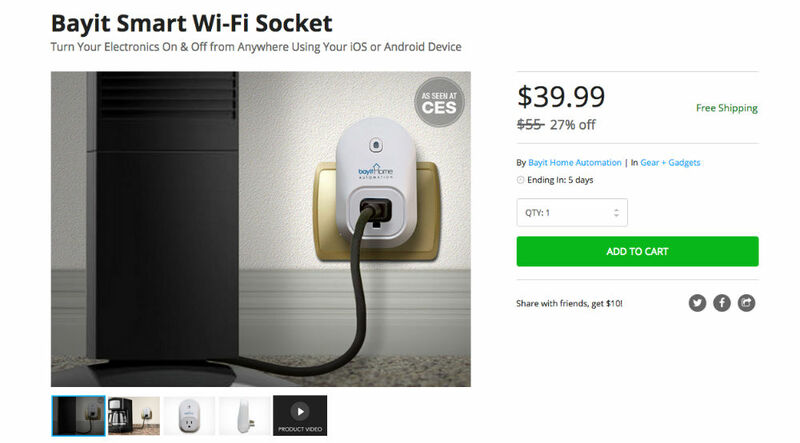 Over on the DL Deals Store, you can currently pick up a fancy new Bayit Smart WiFi Socket for just $39.99, down from its usual price of $55. As shown off during this year’s CES, the Smart WiFi Socket allows owners to place timers on individual home appliances, hopefully leading to less energy used, saving you money in the long run. In case you were curious about what appliances are compatible, the answer is simple — any and all appliances. If it plugs into the wall, Bayit works. Setup is relatively quick and painless, taking roughly 2 minutes to connect the device to your WiFi connection at home. Once set, you can program schedules and timers for your appliances to turn on and off automatically. If this interesting little gizmo strikes your fancy, follow that link below.